The second day of the Snapdragon Summit has been named the 5G Wave for the new mobile platform. 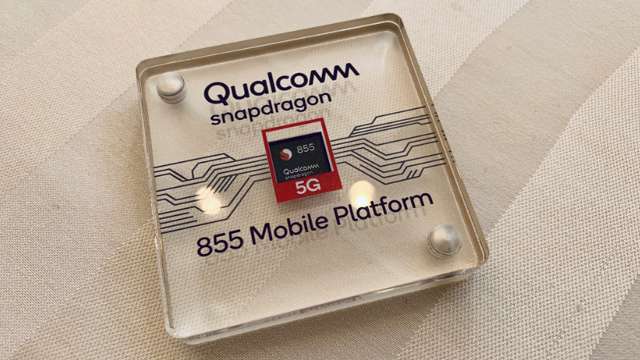 On the first day of this summit, Qualcomm introduced its 5G support chipset Snapdragon 855 and introduced the future of 5G. On the first day of the Summit, the main points of this Snapdragon 855 processor were announced, but on the second day of the Summit, we got an opportunity to know more about the Snapdragon 855 processor. Along with this processor also got a chance to know about the smartphone launched in 2019. On the second day of the Snapdragon Summit, the biggest announcement was made by OnePlus founder Pete Lau. OnePlus founder PET Lau told in the summit that OnePlus's next smartphone will come with Snapdragon 855 processor. OnePlus is known worldwide for premium flagship smartphones. OnePlus is launched with the Qualcomm flagship processor in the Indian market. So it would be right to say that OnePlus's next flagship smartphone will support the 5G network. Next Generation of Qualcomm 8 Mobile Platform Series will be the world's first commercial mobile platform, which will support multi-gigabytes of 5G, artificial intelligence and extended reality together. Snapdragon 855 is built on 7nm process technology which works on new chip architecture. Apple and Huawei make this smartphone based on 7nm process technology. Snapdragon 855 can be an open platform for entry in 5G for Original Equipment Manufacturers (OEMs). According to Qualcomm, Snapdragon 855 will give users superior experience for long-ending battery life as well as superior experience for imaging, audio, gaming, and extended reality. Qualcomm Senior Vice President Alex Katouzian said, "As telecom operators around the world are preparing to launch 5G networks at the beginning of 2019, customers will get the benefit of the Transformative 5G Consumer Experience for the first time." Alex further said We are proud to present this technology innovation of mobile 5G in front of the world for the first time. Speaking of connectivity, Snapdragon 855 is built with the built-in Snapdragon X24 LTE modem with multi-Gigabit 4G connectivity and Snapdragon X50 enables its platform for the 5G platform, which supports both sub-6 GHz and mmWave frequency bands. . Snapdragon delivers 855 multigigabit speed, which performs 20 times faster than the existing SoC. Snapdragon 855 Next Generation also supports Wi-Fi performance that creates the Qualcomm 60 GHz Wi-Fi mobile platform for the mmWave Wi-Fi. Because of this, it proves the industry's first 802.11 based platform, which provides speed up to 10 Gbps. Apart from this, Snapdragon 855 also supports Qualcomm TrueWireless Stereo Plus technology that meets the growing demand of wireless headset nowadays. It easily optimizes the latency between the left and right earbuds and also saves the battery. In the case of performance, Snapdragon 8-Series is already considered the best for mobile devices, Snapdragon 855 takes it up another level. Snapdragon 855 is based on the Qualcomm Kryo 485 CPU Built On Arm Cortex technology, which performs 45 percent better than existing Snapdragon 845 SoC. In addition to this, it has a new Qualcomm Adreno 640 GPU, which gives 20 percent faster graphics experience than Snapdragon 845. According to Qualcomm, this processor uses Adreno graphics, which will provide a different level Graphics Experience user while playing games with the help of Vulkan 1.1, HDR (High Dynamic Range) and PBR Physical Based Rendering. Snapdragon 855 has 4th Generation Multicore Qualcomm AI engine. According to the company's claim, this new processor will be able to do 7 trillion operations simultaneously, which is three times as much as the Snapdragon 845 SoC. The Hexagon 690 processor present in Snapdragon 855 has been newly designed Hexagon Tensor Accelerator (HTA) and Hexagon Vector eXtensions (HVX), which is basically doubled with the vector processing of Snapdragon 854 SoC. Because of which AI provides powerful blending in acceleration. 4th Generation Qualcomm AI engine software inspires a variety of Qualcomm Neural Processing SDKs and Google's Android NN-API. This Surgeon device also enhances the AI voice, camera, gaming, and XR user experiences. Snapdragon 855 More excellent Voice Assistance Dedicated AI acceleration eliminates echo and noise suppression, which helps the user to communicate with a voice support device. Snapdragon 855 offers Qualcomm's new Spectra 380 Image Signal Processor (ISP). Which integrates the world's first CV-ISP computer vision capabilities with many hardware. With the help of Cutting Edge, providing computing photography and video features together with 4 times Power Saving. Camera Vision Image Signal Processor (CV-ISP) provides video capture, object classification and object segmentation with all 4K HDR 60fps in real time. This means that you will also be able to record bokeh video from a mobile device in the future. Spectra 380 ISP is the world's first image signal processor that supports video recording in HDR10 +. Apart from this, it will be able to capture 1 billion color shades. Qualcomm Snapdragon 855 is the first platform that offers the Snapdragon Elite Gaming Experience. With this help, users get the experience of Cinematic Color Grading, Film Tone Mapping, Demanding Physically Based Rendering (PBR) and Vulkan 1.1 Graphics Library in true-HDR. Games like PUBG will run on the Snapdragon 855 based device in 2019, which will reduce latency and will give more realistic visual performances. In Snapdragon 855, you get a much better movie experience, which supports HDR10 + playback, which is the first commercial chipset for the mobile platform. Users can see more movies on Single Charges because it offers new hardware Accelerated H.265 and VP9 which saves energy. On Snapdragon 855 you can enjoy online video streaming apps like Netflix, Amazon Prime, HotStar etc. However, this processor may take time to arrive in the Indian market, but with the help of Snapdragon 855 Volume Metric Virtual Reality (VR), 8K video experiences can be given. This is the first mobile platform that supports the Qualcomm 3D Sonic Sensor. Which supports commercial Ultrasonic Fingerprint Solution inside the display. With its help, it easily detects the fingerprint. Snapdragon 855 SoC is ready to filter the hearts of users with the help of Next Wave's Android device, which launches in 2019. The first device with this processor can be launched in the first half of 2019. Right now, OnePlus has announced the use of this processor in its next flagship device. It is not hard to say that other Original Equipment Manufacturing (OEM) will also use this processor in their flagship smartphones, which will be the beginning of the 5G era.